Safestore Euston - Camden is conveniently located on Chalton Road, directly opposite the Regent Theatre. It’s geographically located directly between Mornington Crescent Tube Station and London Euston Train Station making it convenient for those in Kilburn, Marylebone, Euston, Camden, Soho and Chalk Farm as well. This former undergound car park means that the entire site is on the ground floor, with dedicated parking and two loading bays. There are also a few spaces available for car storage. So if you need business, household, archive or student storage, the store team at Safestore Euston - Camden are ready and waiting to help with all your storage enquiries. Get in touch with us today. We have a range of storage solutions at Euston - Camden Safestore, whether you are moving house or just need some space to store your things. Use our storage size tool to help you decide what you need. Anthony has been a member of the Safestore family since December 2015. 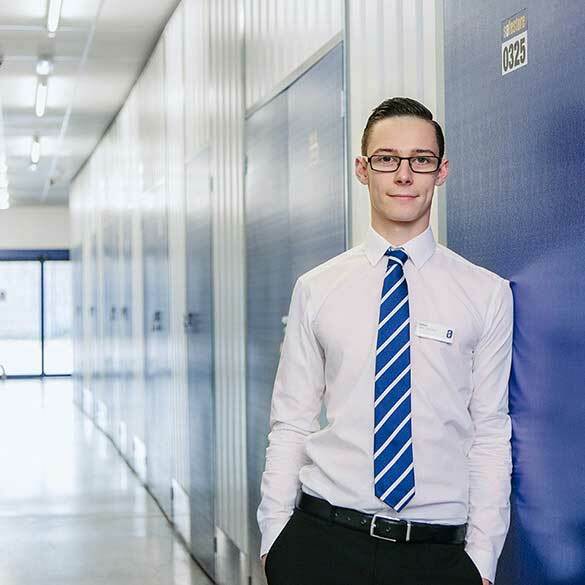 As a local, he likes to think he knows the area well and is always happy to direct people to see the sights of Camden or Euston while discussing your storage needs. Being located where we are we offer a unique, secure location with 2 loading bays and single floor access to all storage areas. A family-owned and family-operated business specialising in local and long-distance removals. We're a well-established company in London, where we have countless satisfied customers. We’re here to see you through every stage of the moving process. Get a FREE estimate today!